An important mission of the ALCS is promoting and stimulating the study of the Dutch language and culture at university level. In the past decades we have built up a proud tradition with the biennial ALCS Student Days: for 24-hours students of Dutch in the UK gather to enjoy a programme of language and culture workshops as well as a more vocational component. 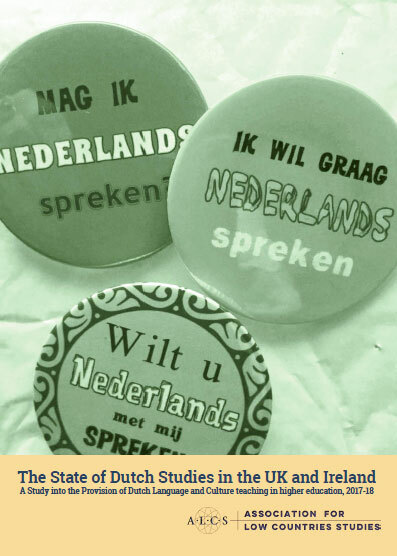 We aim to show the breath of the field of Dutch Studies as well as underline its economic value. This year the student days took place in London at UCL on 10 -11 November 2010. UCL, represented by Christine Sas, proved to be an impeccable host. Sas almost single-handedly put together a varied and stimulating programme. 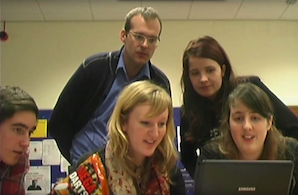 I say almost, because she was assisted by UCL students who helped to ensure that the programme ran smoothly. In addition to the UCL students, we saw a plucky representative from Cambridge, an impressive delegation from Nottingham and an at times overwhelming representation from Sheffield: around ninety participants in total. On the first day the students were offered language and drama workshops and in the evening a poetry performance Als ik jou by the Flemish Theatre Company Fast Forward. The second day consisted of a practical element: ‘The Translation Challenge’ presented by Tony Parr and Marcel Lemmens followed by an excellent guided tour of Dutch and Flemish paintings in the National Gallery. The Student Days closed with a joint lunch in the crypt of St Martin in the Field. During lunch Christine Sas was thanked for her impeccable organisation and because Jacqueline Balteau, representative of the UCL and a tremendous support of Dutch in the UK for many years, is due to take her early retirement, the ALCS took the opportunity to thank her too for her years of dedicated support. Our honoury member Helene van Kerkoerle joined us for the evening performance. The Student Days were organised with the support of the Nederlandse Taalunie, the Royal Netherlands Embassy and the Flemish Representation in the UK.